The Evans Cycles King of the Downs has got to be one of the most under-rated sportives in the UK. 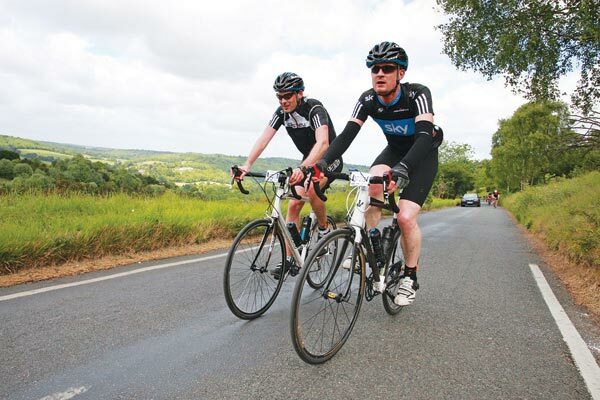 The event can be described as a tale of two halves, with the 57-mile westerly route taking in five of the most infamous climbs in the Surrey Hills with nearly 5,000 feet of climbing; and a 58-mile easterly route taking in another five hellish climbs across the North Downs and more than 4,000 feet of climbing. 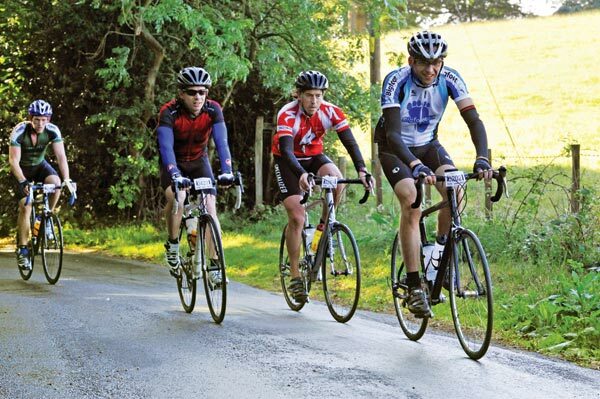 One rider compared it to the Surrey Legs of Steel and the Hell of the Ashdown sportives put together in one event. If you don’t fancy all this climbing then the westerly route is available as a ‘half sportive’ option but in reality there’s nothing soft about it as many riders were to find out. Knowing all this and having previously ridden the event, I decided to do the shorter option and enjoy it. This also meant a later start which is much more civilised and none of the sense of urgency usually accompanied with early starts and trying to get away as early as possible. Starting out from Evans Cycles HQ beside Gatwick Airport, the first half-hour is on quiet, flat roads providing a good warm-up. The first climb of the day is Leith Hill, all the climbs are numbered with a sign at the bottom to let you know which one you’re doing, but thankfully this is one of the easier routes up to the highest point in the Surrey Hills and as the legs are fresh it’s OK.
You are into the heart of the Surrey Hills and the roads become narrow and twisty, making the route more interesting. After a cracking sweeping descent it’s quickly on to climb number two at Pitch Hill which is quite similar to the first climb with narrow, tight windy lanes and a lot of tree cover. The views from the top of this one are well worth it as the vista stretches way south to the coast. From here it’s a twisty descent through woodland to the picturesque village of Shere where there seemed to be a lot of bikes outside the cafe and pub. Tempting as it is to stop, the climbing starts again immediately after the village so it’s easier to press on. Combe Bottom is where the inclines really start to bite as it’s the hardest hill so far but another fun descent brings you to hill four, Ranmore Common. This is not a bad climb but the sharp right-hand turn at the bottom brings you to a stop and makes the first part tough. Once over the top it’s down all the way to the last climb on the westerly route, Box Hill. This is such a nice climb as it rises gently and the views are good from the top. There are hundreds and hundreds of cyclists here on a normal weekend but today there are literally thousands, giving it a great atmosphere. After the fastest descent of the day to Betchworth, the roads back to the finish of the half sportive from here drag slightly and with the added resistance of a headwind, can be tough. If you are doing the shorter distance you can really put the hammer down here, while those on the long route can use it as a chance to rest before the onslaught of the second loop.